At Dr. Scott’s, we want to improve the quality of your life. Our approach for successful weight, hormone, age management and bioidentical hormone replacement therapy (BHRT) is both comprehensive and personal. Many physicians won't treat patients if their "lab work" falls within a "normal" range. At Dr. Scott's, we understand that what may be "normal" for one person, may NOT be the norm for another. YOU are MORE than numbers on a lab report. This is why we believe in treating the symptoms and not just numbers. Proudly serving clients in Charlotte, North Carolina, South Carolina, Virginia and Georgia for 20+ years. We are now entering a new era in mainstream medicine that focuses on preventing health problems that are associated with aging. One of the most important preventive therapies in this new paradigm of care is identifying those with hormonal deficiencies, and supplementing them with bioidentical hormones to optimal physiologic levels. Treatment addresses not only the symptoms associated with aging, but also the degenerative diseases associated with aging, as well. Whether you have a testosterone deficiency, are suffering with PMS, or are in perimenopause, menopause or andropause, at Dr. Scott’s, be assured your treatment plan will be based on cutting edge protocols tailored specifically for YOU! We are pleased to introduce new options in weight, hormone and age management such as: Platelet Rich Plasma (PRP) Therapy, O Shot, P Shot, Breast Lift, Aesthetic Therapy, Vampire Facelift, Sexual Wellness and more. Please feel free to call our office to ask specific details. In addition to new techniques, Dr. Scott saw a need for easier personal access to lab testing; a place where people can come in and be tested in an anonymous, hassle-free environment, without the additional expense of an office visit. With this in mind, he established Dr. Scott’s Lab Testing Facility. Dr. Shapiro is an advocate for preventive medicine and bioidentical hormone replacement therapy; he stands out from most wellness physicians because he is passionate about improving the quality of peoples’ lives through physician-guided medical weight loss management and bioidentical hormone replacement therapy. 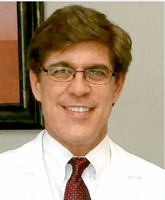 Dr. Scott Shapiro is an expert in the field of medical weight loss and age management in Charlotte, NC and has almost 30 years of experience. If you need help with weight loss, hormone replacement therapy, low testosterone issues, or menopause contact Dr. Scott Shapiro at 704-282-9355. Services After reviewing your history, you and Dr. Scott Shapiro will decide TOGETHER which program is right for you, based on your goals. The services offered by Dr. Shapiro include medical weight loss programs, bioidentical hormone replacement therapy, HCG Diet and HCG Weight Loss Program, treatment for low testosterone, menopause, and services involving anti-aging and age management are also offered. Dr. Scott Shapiro has a complete lab testing facility to further facilitate your treatment. I'll start by saying that I don't have much faith in doctors. When I decided to see Dr Scott I was at the point of desperation and knew I needed a fresh approach, not more prescriptions that didn't help or another doctor that wouldn't hear me. I am 40 years old and after my tubal things began to shift hormonally, then after a complicated surrogacy I had to have a hysterectomy which means immediate surgical menopause. I'll shorten this up by saying Dr Scott brought me back to life, to my old self. My first visit I knew I had found hope and help, finally!! He has helped me to lose 20 lbs and still counting. He diagnosed my low thyroid where no other MD would and he treated it. He realigned my hormones and I feel alive again and happy. No more headaches, no more hot flashes, no more fatigue and yes my libido is back too. He even allowed me to return supplements I didn't end up using (I'm hard headed)....What doctor does that? This man is absolutely positively for his patients 110%. I will conclude that after all that, I took the leap for a vampire breast lift and not only am I very pleased with his work afterwards, I will also add how very professional, kind and understanding he was. Even calling me while I was on vacation to check on me a couple days later. His entire staff is exceptional. Dr Scott runs a tight ship and knows his stuff. You can't put a price on actually feeling alive and understood. His care is worth penny. I literally can't say enough extraordinary things about Dr Scott, saying thank you just isn't enough. This review is long overdue. I moved here from South Florida a few years ago and was being treated there with Bio-identical hormones so when I moved here I was in search of a doctor who had the same treatment philosophy that I was used to. I did a search and found Dr. Scott. Dr. Scott and his staff are all amazing! They are personable, friendly and more than helpful. Dr. Scott has even called me himself to make sure everything was okay with me. He is the most genuine doctor I've ever met. He is honest and straightforward. I wouldn't go anywhere else. Looking forward to going in for a consultation with Dawn soon for a Rezeneration facial. I trust Dr. Scott and his staff completely!